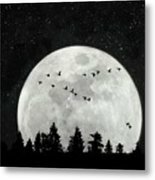 By The Light Of The Silvery Moon - Birds is a photograph by Andrea Kollo which was uploaded on March 12th, 2018. 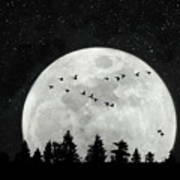 The moon has always been a subject of great interest and intrigue -- it also happens to make for a great dramatic photo. 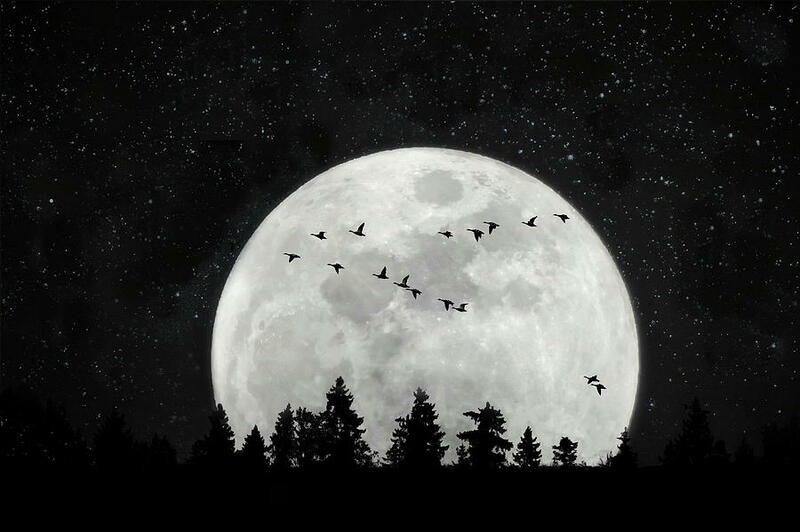 The geese flying in front of the moon is the bonus. Perfect . . . the starry sky, the enormous supermoon at the horizon, the silhouettes of the geese, the tree tops to ground it . . . love this combination. This was one of my two pod's in the Best of Minimalism group for March 18. This dramatic piece captures the viewer immediately and beautifully, Andrea. This is a pod choice for me today in the Best of Minimalism group.